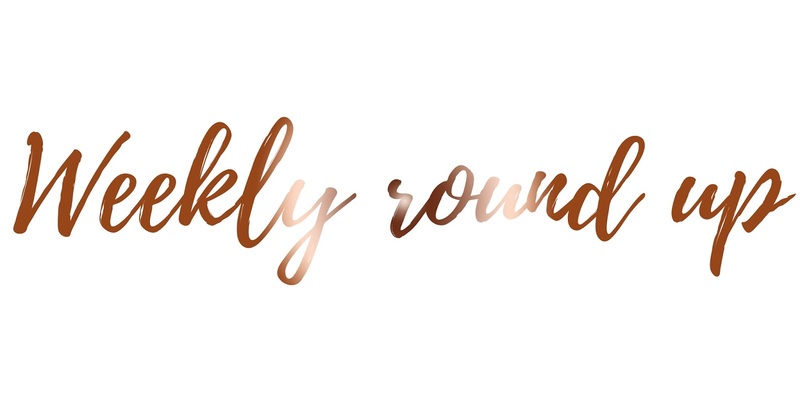 Can you believe it's already the 10th Weekly Round Up here on Kimberley Jessica, it's crazy how quickly the past ten weeks have gone. But as well as that; we're already half way through March. Where is time going?! My week is usually fairly boring, especially the weeks when I'm not in University however this week has definitely brought some surprises, and some happy moments too! I started off the week by not going into University and having a shopping day with my mum instead. Although ideally I'm on a spending ban, I did pick up some beautiful Pokemon pyjamas from Primark; they're so comfy, so bright and so pretty; I love them! However, this does mean I haven't stuck to my uni work schedule but that's okay, I have two months. Willow went in for her last injection on Wednesday and weighs a whopping 11.5kg, she however probably know weighs 12kg! If you've been following her updates, you'll remember how small she was when we first got her! Only 5kg. It's also crazy to say we've had her for five weeks already, that time has gone incredibly quickly. As some of you may know I was incredibly unhappy with my job. I found I was absolutely dreading going to work on the Saturday, but I didn't have to go in until Thursday, but that's how much I didn't enjoy going in. I also found when I was in work I was constantly asking myself "Can I go home yet?" For a job which I used to love, I was completely miserable and I needed to change this. Although this Thursday just gone I went into work and was told I was no longer doing the job I usually do; instead I now work with a boy in the same class however he has Autism. To be completely honest, I was mixed emotions about this! I was so happy to leave but at the same time I really didn't want to leave. So now I know that I'm staying, and working with a different child, I'm really happy but I'm gutted because I was determined to leave. I'm glad I've been given this chance to work with a different child with a completely different additional need. Not only is it going to give me more experience working in a school, but I'll be given training which I haven't had yet. This week reminded me that you never know what's around the corner, something might happen when you least expect it.